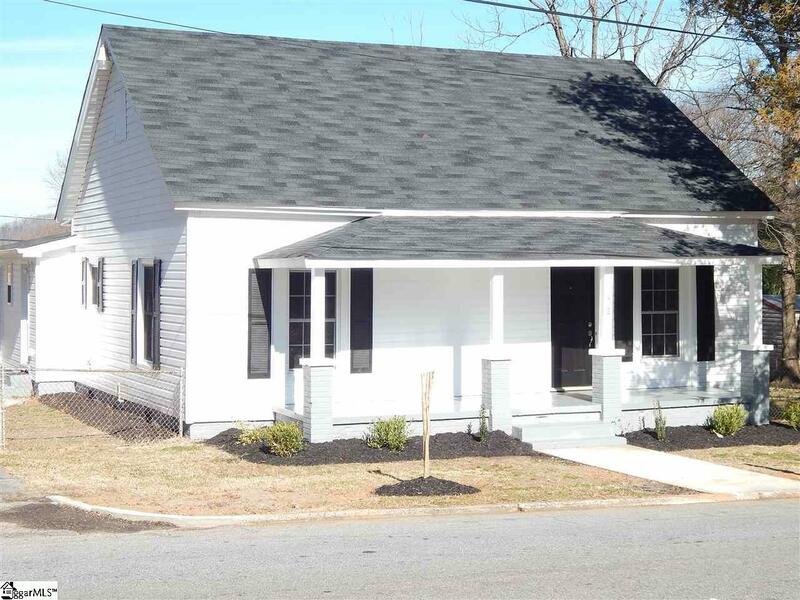 Looking for a fully renovated home with a historic feel? This home underwent an amazing restoration and it shows. Completely updated 3 bedroom, 2 bath turn-key home in Easley. The home features a large front porch, oversized rooms with an open floor plan, high ceiling heights and tons of natural light. Updates include: new sheetrock and trim, insulation, designer neutral colors, lighting including ceiling fans in all bedrooms, double paned vinyl tilt out windows, 5 panel interior doors, HVAC, electrical, plumbing, and siding and more! The expansive living room opens up to the dining room offering plenty of space to entertain. The kitchen includes new cabinetry, countertops, and stainless appliances. The master bedroom features a full bath with beautiful ceramic tile and a large closet. The two additional bedrooms are expansive offering an abundance of space. The level, fenced in yard includes landscaping and mature trees. Ride your bike to Easley's famed Doodle Trail from the home! Downtown Easley with it's numerous restaurants and shops and many other amenities are close by. Listing provided courtesy of Jackie Joy of Pointsouth Properties, Llc.